The Otto Bremer Trust Small Business Fund invested $1 million in loan capital to help the Metropolitan Economic Development Association (Meda) provide new ways for minority entrepreneurs to access capital. 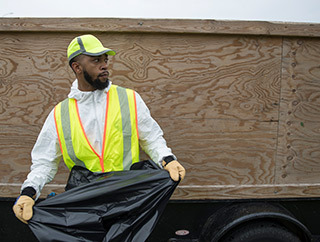 This investment allowed Pride Cleanup to establish a line of credit that helps fund living-wage jobs for minorities and underserved members of the community. 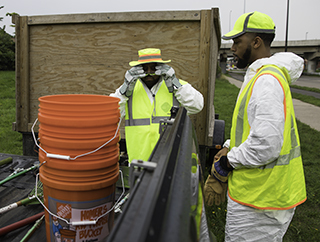 In 2015, JD and his son started Pride Cleanup, LLC, a highway heavy construction company that works with the Minnesota Department of Transportation. He takes pride in being able to provide living-wage jobs for minorities. 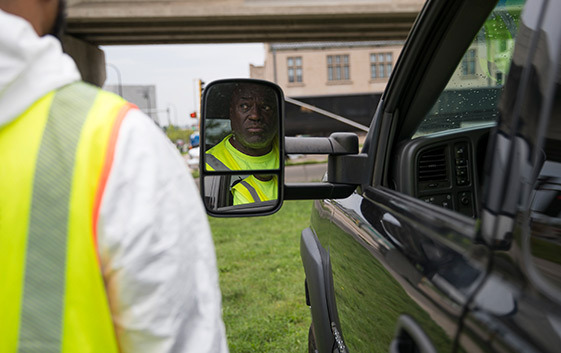 (Bottom) JD Pride, center, talks with his son JD Jr. has works on cleaning up a stretch of road near downtown Minneapolis. JD Jr. opens another track bag as he works (top left) and continues cleaning up the area (top right). JD Pride talks about what he looks for in an employee and why he focuses on hiring minority job seekers. “As I ride around town and see people working on buildings, there aren’t many who look like me,” he says. 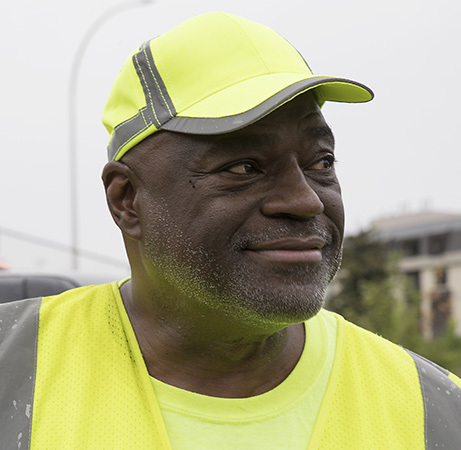 With support from the Otto Bremer Trust, MEDA helps entrepreneurs like JD Pride grow successful businesses and provide living-wage jobs to Minnesota's minority workforce.